Home / Autism/Special Needs / Social Skills / Stick Up For Your Feelings! Stick Up For Your Feelings! A mother I know expressed concerns that her son (who is on the autism spectrum) was not practicing “whole body listening”. Whole body listening is when you orient your body to face others and pay attention to body language and facial expressions. She said, “He knows what it is but he does not do it!” Well, she was kind of right, but not really. What her son knew was that whole body listening was important to the grown-ups around him but he didn’t really get the point. He had not integrated the relationship between body language and non-verbal communication. He relied on verbal cues and that felt natural to him so he rarely would remember to orient his body to face others. Obviously, being told to do it wasn’t working. Hoping to motivate him through shared enjoyment I use games to build this skill. The first thing we need to do was to define different feelings. Then we need to work on recognizing those feelings by paying attention to the other person’s body language and facial expressions. Learning through playing a social skills activity is a great way to introduce these important concepts. To work on these skills we also created some more fun games: My Many Colored Feelings and the How Am I Feeling? Game. This interactive social skills activity can help develop perspective taking skills and whole body listening. Have each child choose 3 feelings. I give them a list to choose from. You can make up your own list or find a list of feelings on the internet. 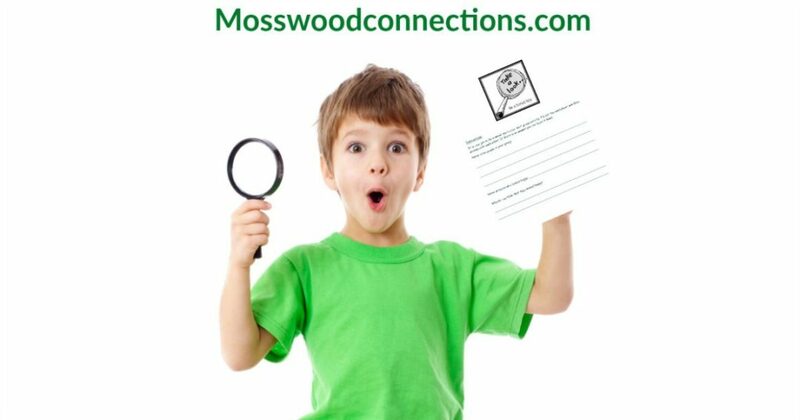 You may need to help the kids define some of the feelings words. Then have the children draw the feeling on the stick figures. Now, let the game begin! 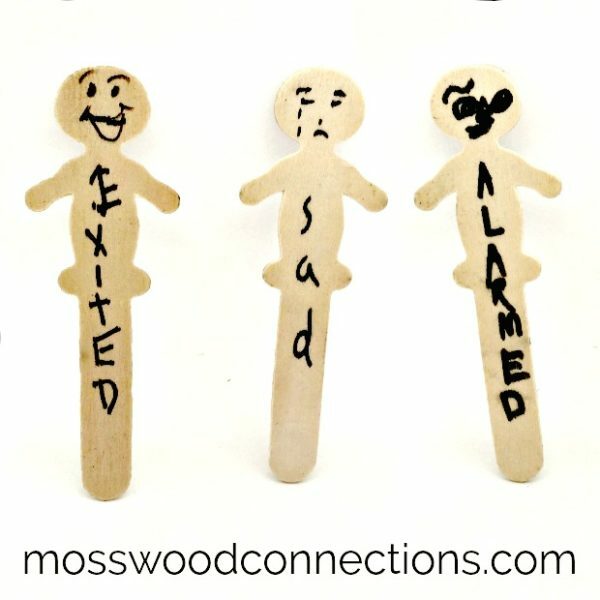 Each child has 3 feeling sticks. 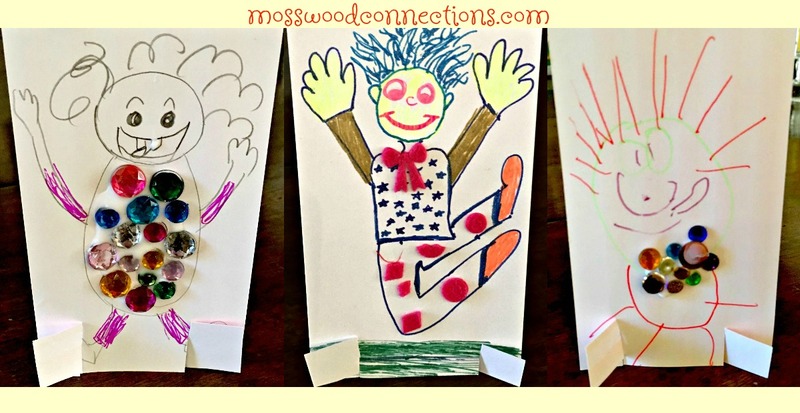 Tell the kids it’s their job to pretend without words a feeling that someone else has chosen and to see if that person notices and matches the feeling to their feelings stick. The object of the game is to identify when they see someone whose body language and/or facial expression matches their stick. For example, Mara looks annoyed, Ben notices so he holds up his “annoyed” stick person. Ben gets a point. You can structure this as an observational circle time activity or have the children pretend the different stick feelings for people to guess. It is fun to have the children “model” the expressions for each other, compare how different people may make slightly different expressions. Have them look in a mirror to see what their face looks like. Talk about different situations where you feel: happy, frustrated, surprised, etc. The set-up is the same as in Game 1 but this version is an ongoing activity that runs in the background. For instance, I set up the game at the beginning of a session. We make our feelings sticks and then transition to doing other activities. This way the child does not know when the feeling will be acted out so they need to pay attention. The children are told to act out a feeling sometime while we are playing or working, but try not to be obvious about it! The other "players" job is to notice and say when they see a feeling being acted out. By the end of our time together the goal is to score 3 points each. The first time I tried this with one child I had to prompt him to pay attention but after that, he averaged identifying 2/3 during our sessions. What was really marvelous is that it was his idea that I play, too. His eye contact has absolutely improved. He carefully studies both his expressions and mine and an even better bonus is that this boy who used to rarely pretend, is now pretending all sorts of scenarios that match the feelings! 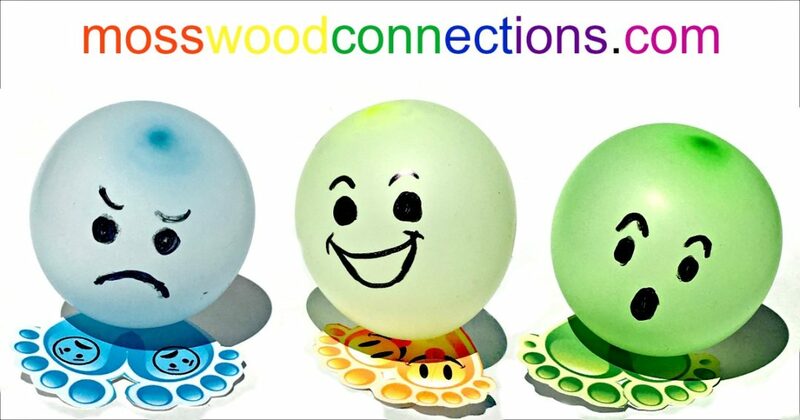 This one is not so much of a game but rather an activity to build emotional awareness. 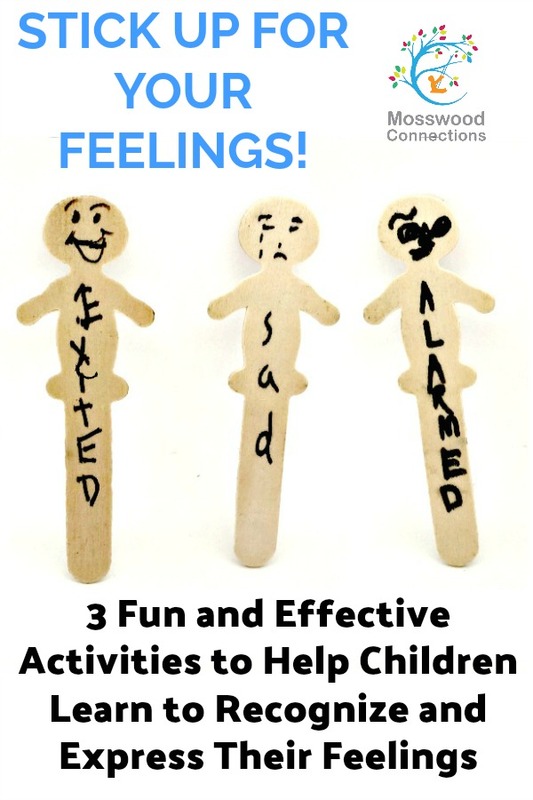 For young children choose 3 basic feelings; for example happy, sad, tired, angry, etc. For older children, you can have a larger variety. Give each child a cup with their name on it and put their feeling sticks close by. When they start their day have them choose the stick that matches their feeling and place it in their cup. Encourage them to change the stick when their feeling changes. That way if Rosa chooses the “happy” stick when she starts the day but later chooses the “angry” or “tired” stick the adults can then check in with Rosa and talk about her feelings. Remember: Always stick up for your feelings!